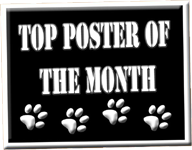 Congratulations to our Top Poster for March 2015! Thanks! I love this forum and reading about all the wonderful frenchies people have!! !